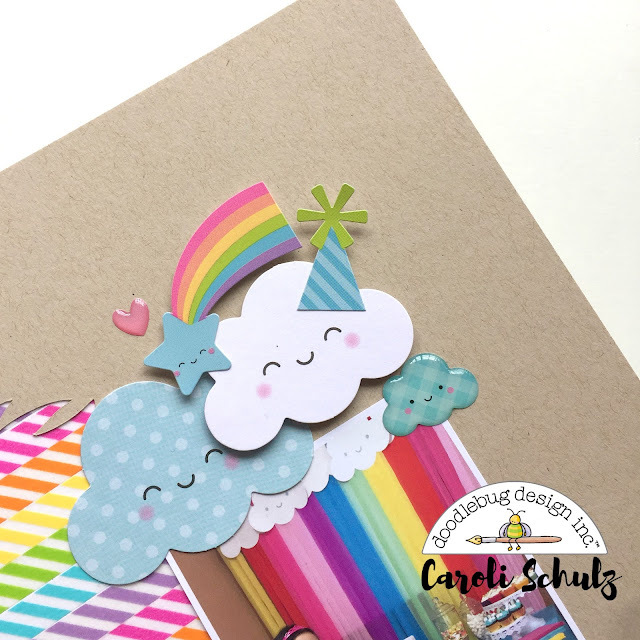 Hello my dear Doodlebug Design friends! 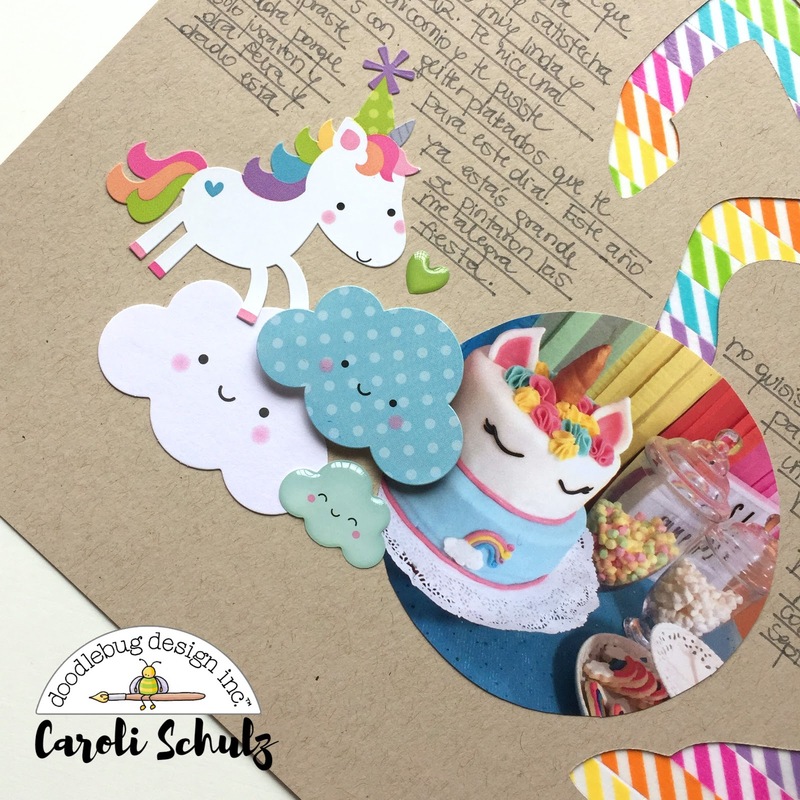 Caroli here and today I want to share my take of the washi tape challenge we are having here with my peeps at he DT. As you can see, I used washitape to fill a big unicorn diecut I used as a base on my design. I placed several strips of washi in a rainbow pattern, I love the result. 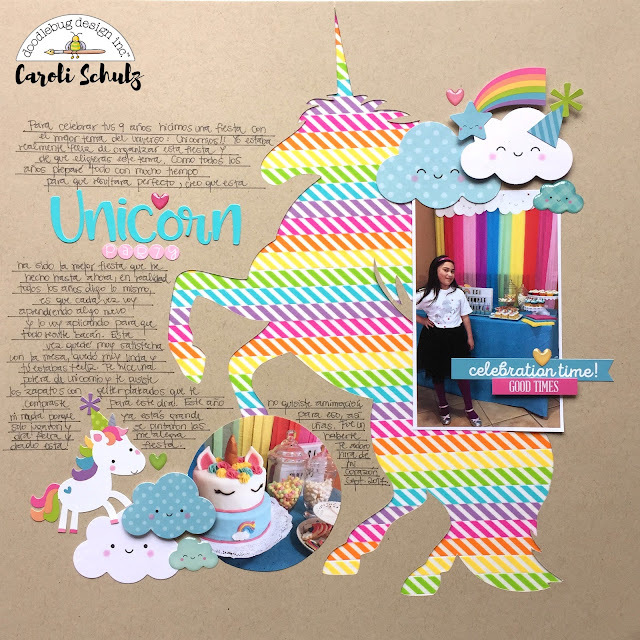 I used some pics of the last birthday party I threw for my baby girl, which was unicorn and rainbow themed, so Fairy Tales collection was simply perfect for it. You can see on the pic that actually the party was inspired by this collection, I even made the smiley clouds and a paper rainbow for decorating the candy table. As always, shape sprinkles are just gorgeous and my fave item on each collection. I love the cloud shaped ones, they are the perfect add to my embellishments clusters. Have you seen the new alpha typography Abigail?? I love the funny and happy feel of this aplha. I used Swimming Pool color to add my title. 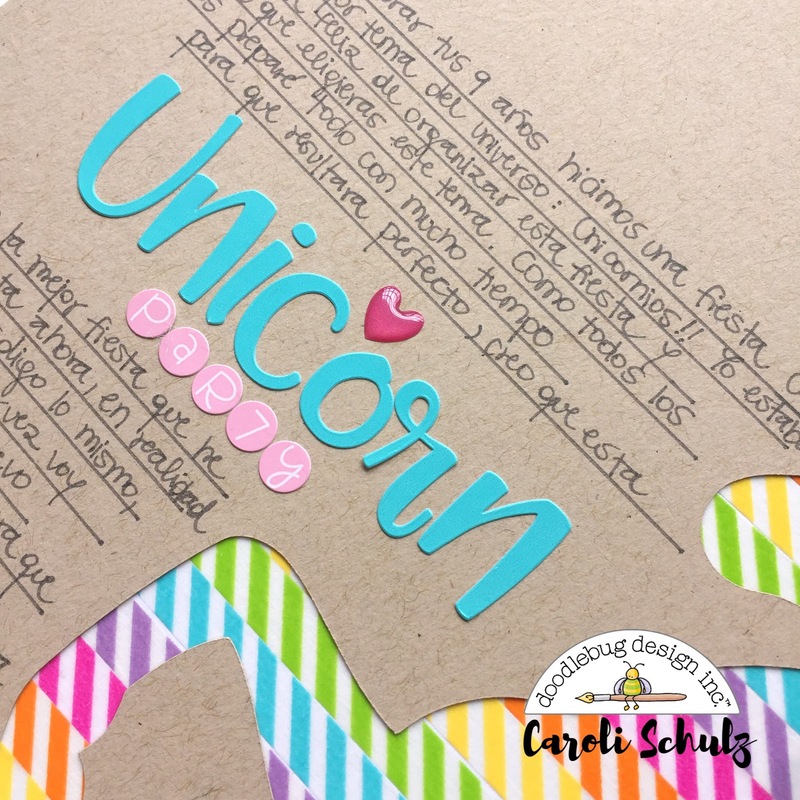 I hope you liked this simply idea and got inspired to try it on your projects. Doodlebug Design's washi tapes are so beautiful, the possibilities are endless! Your layout is amazing. 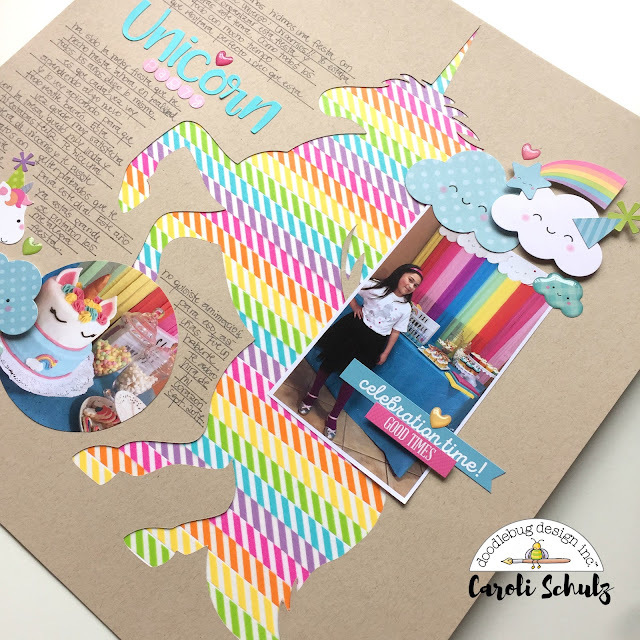 I love the washi tape unicorn!! Such a fun idea! Adorable layout! Oh my goodness !! You create an amazing page !